Planning the perfect stag party or more often than not, a stag do that lasts an entire weekend, isn’t the easiest of things to do. You are tasked with filling a huge amount of activities for the stag and his guests to enjoy. We host whisky tastings for stag parties whether in a private residence or at the self catering property you have hired for the special weekend! Fancy a Whisky Tasting For Your Stag Party in 2019? 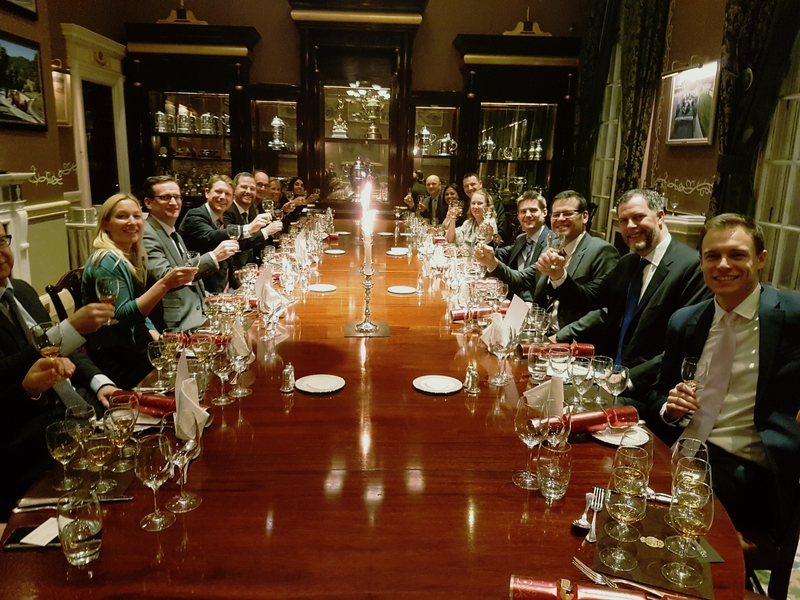 Let us arrange a fun and informative whisky tasting for your very special stag party wherever the venue in the United Kingdom in 2019. During the tasting your guests will taste 6 awesome single malt whiskies from around Scotland. I’ll talk your stag party guests through the history of Scotch whisky and how it makes the incredible journey from field to table. The whiskies that we present are drams that you are less likely to see on the supermarket shelves. There will be guests amongst your stag party who think they don’t like whisky, don’t worry, we will try our very best to change their minds! When you book us to host a stag party whisky tasting you can be sure of an authentic whisky tasting experience. I used to be distillery manager of one of the largest whisky distilleries in Scotland, the mighty Caol Ila Distillery on Islay. Most other companies offering whisky tastings haven’t the experience that we have. We are not brand ambassadors, we are not tied to any brand, we simply show the whiskies that we love. Our tastings are fun and above all authentic! For more info about our private whisky tastings please see below. If you would like to contact us or to check availability or to book, please call David on 07875 405 980 or complete the form below and we’ll be back to you quickly. What Is Involved In a Stag Party Whisky Tasting? When you arrange a whisky tasting for your stag party with us we will liaise with you to ensure that the event is designed to fit around your other activities, and that the tasting commences at a time convenient to you. That might be before dinner, with dinner (I can pair the whiskies with each course), or as after dinner entertainment. I bring all of the whisky, the glassware, tasting notes, all I need you to provide me with is some space to conduct the tasting. Some times I’ll use a projector and screen to show a virtual distillery tour, a dining room is great for this. I’ve worked with whisky for 20 years, I’ve produced it, bottled it, marketed it, retailed it and presented it. For years I worked at the coal face of whisky production on the Isle of Islay in the Hebrides where I was Brand Home Manager at Lagavulin Distillery before becoming Distillery Manager at the largest distillery on Islay, the mighty Caol Ila. My tastings are therefore very authentic as well as being good fun. Looking for Accommodation for a Stag Party in 2019? We host whisky and gin tastings throughout the UK and can travel to any location. 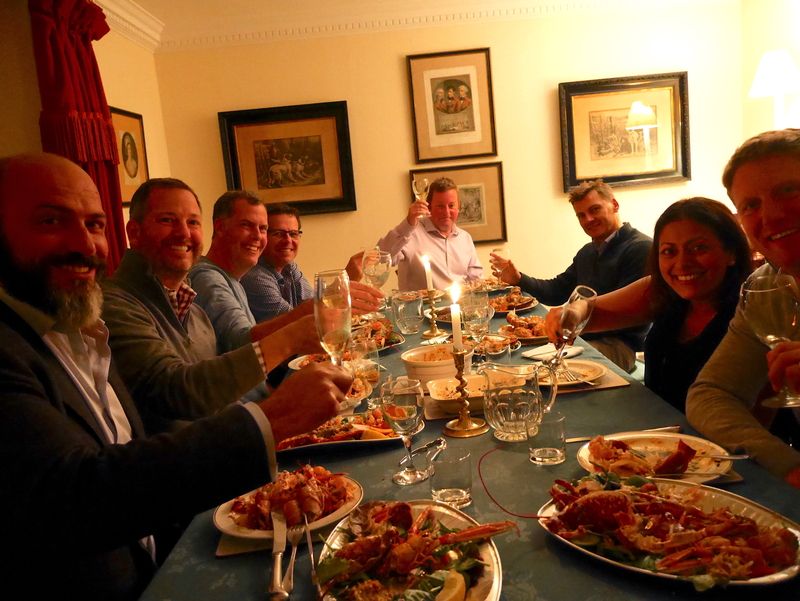 We regularly host tasting events in holiday lets and self catering properties. If you are looking for a large holiday rental for your stag party or for your hen do, please click on the links below, we regularly host tastings in properties marketed by Partyhouses Uk. Please click the image below for more info. To contact us for more information about our tastings or to enquire about availability for a tasting, please complete the form above and we will get back to you as soon as possible. We hope to see you at your stag party soon! PS we host gin tastings for stag parties too!! Let us arrange a fun and informative whisky tasting for your very special stag do in the Peak District in 2019. During the tasting your guests will taste 6 awesome single malt whiskies from around Scotland. I’ll talk your stag party guests through the history of Scotch whisky and how it makes the incredible journey from field to table. Looking for Peak District Accommodation in 2019? To contact us for more information about our tastings or to enquire about availability for a tasting, please complete the form below and we will get back to you as soon as possible. If you are looking to arrange a stag party in a rural location, look no further than having your stag do in the Peak District National Park. The Peak District offers a wealth of outdoor activities for stag groups and there are plenty of large self catering houses in stunning locations to choose from. In this blog post we’ve put together a list of fun activities that can be enjoyed by your stag party guests. The Peak District National Park is the perfect place to have your stag party. The scenery is breathtaking with hundreds of miles of trails to explore whether on foot or by cycling. Sitting in a Peak District pub with your friends in front of a roaring fire with a pint of real ale is the perfect way to end the day. The Yeaveley Estate near to the beautiful market town of Ashbourne offers a range of activities for corporate groups, stag parties and hen parties. The shooting packages that the estate offers are very popular with stag groups and make a great activity for your Peak District stag do. The estate also offers a fantastic range of other activities perfect for your Peak District stag party such as fly fishing, hovercrafting, archery and game butchery courses and there is on site accommodation too if you’d like your whole Peak District stag weekend to take place in one location. There is even a pub serving good beer and food at the entrance to the estate. Check out The Yeaveley Arms website for more information. Here at Distilled Events we host whisky tastings for stag parties in the Peak District. We host whisky tastings for stag dos in large self catering houses throughout the Peak District National Park. During our stag group whisky tasting you and your guests will taste 6 wonderful single malt whiskies from around Scotland and hear all about the history of Scotch whisky and how it makes the amazing journey from field to table. To enquire about a whisky tasting for your Peak District stag party or to check availability please call David on 07875 405 980 or click here to use our contact form and we will get back to you as soon as possible. At Distilled Events we also host gin tastings. If your party is in the Peak District book us to come to you and we will host your very own gin tasting experience. At our gin tastings guests taste 6 great gins before mixing the perfect serve G&T with each with garnishes as suggested by the distillers. We supply all the gins, glassware, tonics, ice and garnishes and we also include a ‘guess the botanicals’ quiz to make sure the experience is fun as well as informative. For more information or to book a Peak District gin tasting please call David on 07875 405 980 or click here to use our contact form and we’ll get back to you as soon as possible. Our friends True North Adventures offer bespoke cycling adventures, E-bike hire and cycling holidays in the Peak District. True North Adventures guide, teach skills and offer coaching for all cycling disciplines, e-mountain bikes, mountain biking, gravel riding and road riding. They offer unique, bespoke guided cycling adventures throughout the Peak District, Derbyshire Dales and the Staffordshire Moorlands. There is also accommodation available if you would like to keep your stag party in one location in stunning surroundings. There is no better place than the Peak District for a bespoke cycling weekend for your stag party guests. Tittesworth Water Sports offer a wide range of outdoor activities which would make a great day out for guests on your Peak District stag party. Tittesworth reservoir is situated on the Southern edge of the Peak District National park and has stunning views across the Staffordshire Moorlands and The Roaches. There are many things to get involved in at the water sport centre. Your stag party guests could enjoy canoeing, kayaking, raft building, archery, and axe throwing in stunning surroundings. After a day on the water, no trip to Tittesworth is complete without a visit to The Lazy Trout pub for excellent food and ale. The Peacock at Rowsley – The Peacock is the hub for the Haddon Estate fisheries which offers some of the finest and most extensive dry fly fishing for wild brown trout and wild rainbow trout in the country. The river Wye is famous for being the only UK river with wild rainbow trout as well as wild brown trout. Fly fishing tuition is available nearby at the Bakewell Fly Fishing Shop with Peter Arfield. Local guides are also available. Ladybower Fishery – If you prefer reservoir fishing Ladybower Fishery in the Upper Derwent Valley offers 13 miles of bank fishing and has 15 boats with petrol outboards for hire. The lake is stocked with both rainbow and blue trout as well as having a population of native wild brown trout. The Peak District has many large self catering holiday houses that are perfect for your Peak District Stag party. We regularly host whisky tastings for stag parties at houses that can be booked via Party Houses UK and Peak Venues. All of the houses are very well equipped, spacious and perfectly situated to get to your Peak District stag do activities. We hope you found our information about Peak District stag party activity ideas useful. If you would like more information about our whisky tastings or gin tastings, please call David on 07875 405 980 or complete the form below and we’ll get back to you very quickly. Whether it is a hen party gin tasting in the peak district or a gin tasting for your peak district holiday accommodation we will arrange the perfect gin tasting in the peak district for you and your guests! We’re not sales representatives, retailers or brand ambassadors, our experience comes from working at the coal face of spirit production, we’ve worked in and managed some of the most iconic distilleries in the United Kingdom. You can expect a fun but above all authentic experience for your guests when we host a peak district gin tasting for you. The Peak District is the perfect destination for large groups to get together, whether it be a family gathering, a stag or hen party or a business meeting, there are dozens of large self catering houses available for hire on a weekly basis or just for a weekend. We are based in the Peak District so it is easy for us to get to any location within the national park. If you book us to host a gin tasting in your holiday accommodation we bring along all the glasses, tasting notes, garnishes, gins and tonics and set up in plenty of time for your guests getting together for the tasting. If you would like to contact to enquire about a private gin tasting, please complete the form below and we will be back to you as soon as possible! Alternatively please call David on 07875 405 980. Where will the tasting take place? During our gin tastings we present 6 gins from around the UK. We are passionate about quality gins. We select gins that are distilled properly, where the distillers are authentic and have integrity, and above all, we select gins that we love because of their provenance and their ability to demonstrate placeness. We taste the 6 gins neat in the first instance, so that we can compare and contrast each of the spirits. We then mix the perfect serve G&T with tonic and garnishes as suggested by each distiller. Our tastings are all about the gin. We encourage guests to mix classic gin and tonics, we’re not making gin cocktails. During the tasting I talk about the history of gin production and also explain exactly how gin makes the special journey from field to glass. Space permitting I often give a virtual tour of a distillery in order to explain the process. If you would like to contact to enquire about a private gin tasting, please complete the form below and we will be back to you as soon as possible! The Peak District National Park is a wonderful place to holiday, with breathtaking scenery and activities galore for all the family to enjoy. The Peak District became the first national park in the UK in 1951, and with excellent transport links coupled with its proximity to Manchester, Stoke-on-Trent, Derby, Sheffield, Birmingham, the M1 and the M6, it attracts millions of visitors every year. There is so much to see and do in the Peak District, there really is something for everyone. There are miles of paths to explore, market towns to visit like Buxton, Bakewell, Leek and Ashbourne and many places of historic interest. Outdoor activities such as climbing, sailing, canoeing are very popular. The Peak District is one of the best places to fish in the UK. Many rivers rise in the hills above Leek and Buxton. Within only a couple of miles of each other the rivers Wye, Dove, Dane, Manifold, Goyt and Churnet all emerge and start their long journeys towards the sea. Having so many mountain rivers makes the peak district the fly fisherman’s paradise. The rivers of Derbyshire and Staffordshire are world famous for Trout and Grayling not least because of Izaak Walton and Charles Cotton. We can arrange fly fishing for you, we can also arrange fishing guides. Please contact us for more information or to arrange fly fishing. Peak Venues have many quality large group self catering houses in the Peak District National Park. They have houses that can accommodate 2 to 43 guests. Celebrate birthdays, wedding anniversaries, hen weekends, stag weekends, family reunions, corporate breaks in fabulous rural or village locations. Party Houses have many top quality large self catering houses in the Peak District and across the Midlands. Again these venues are perfect for family gatherings, corporate breaks and special occasions. We hope to see you in the Peak District soon! We host private whisky tastings in Sheffield and anywhere in the UK. Whether you are looking for a whisky tasting at home, at your office, in your holiday rental for a special occasion for maybe for a birthday or a stag party, contact us today to discuss a bespoke whisky tasting event. We worked for many years at the coal face of whisky production on the Isle of Islay in Scotland so our tastings are authentic as well as fun! As well as private whisky tastings in Sheffield, we regularly hosted ticketed events at awesome venues like Picture House Social on Abbeydale Road. If you are looking for a venue where your tasting in Sheffield can be hosted, Picture House Social has a huge cocktail bar, pizza bar and even ping pong and so makes the perfect venue for your get together. This venue also has a private cinema where our tastings usually take place. Whether you’d like a whisky tasting at your birthday celebration, at your corporate event or even for your stag do, call David on 07875 405 980 for more information or fill in the contact form below and we’ll get back to you very quickly. Scroll down for more information on our Sheffield whisky tastings. We host whisky tasting events and masterclasses all over the UK and can arrange a private tasting for any group size at your home, party venue or business address. Our whisky tastings take many formats from regional whisky tastings to rare whisky tastings and we also host whisky dinners. 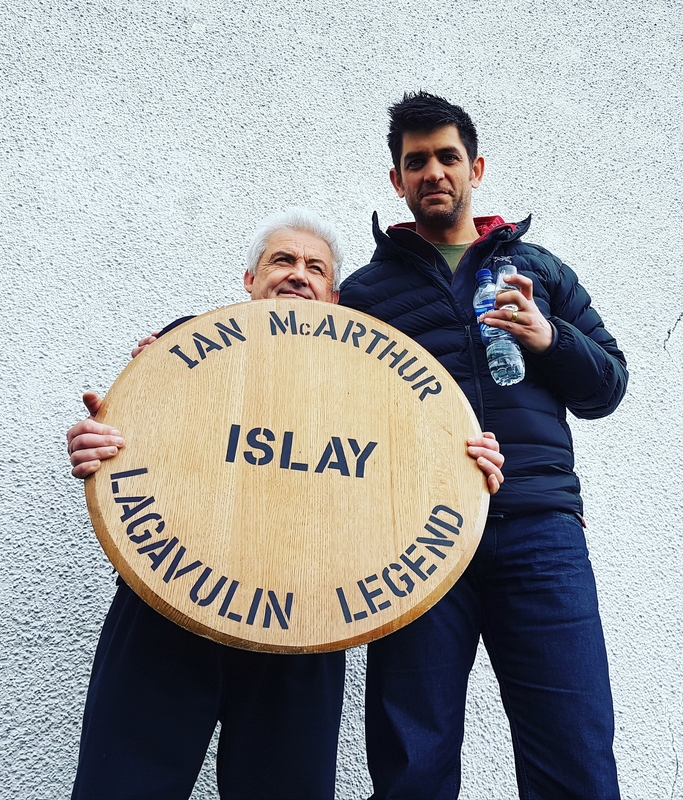 Your hosts David and Leonie Wood have worked in the whisky industry for many years, recently working at Lagavulin, Caol Ila and Kilchoman distilleries on the Isle of Islay. More recently, David was distillery manager at Caol Ila Distillery. Our tastings are as authentic as can be. Whilst most whisky tastings are hosted by sales reps or brand ambassadors or even people who have never visited a malt whisky distillery, we have worked at the coal face of whisky production making us ideal and extremely knowledgeable hosts for your guests. 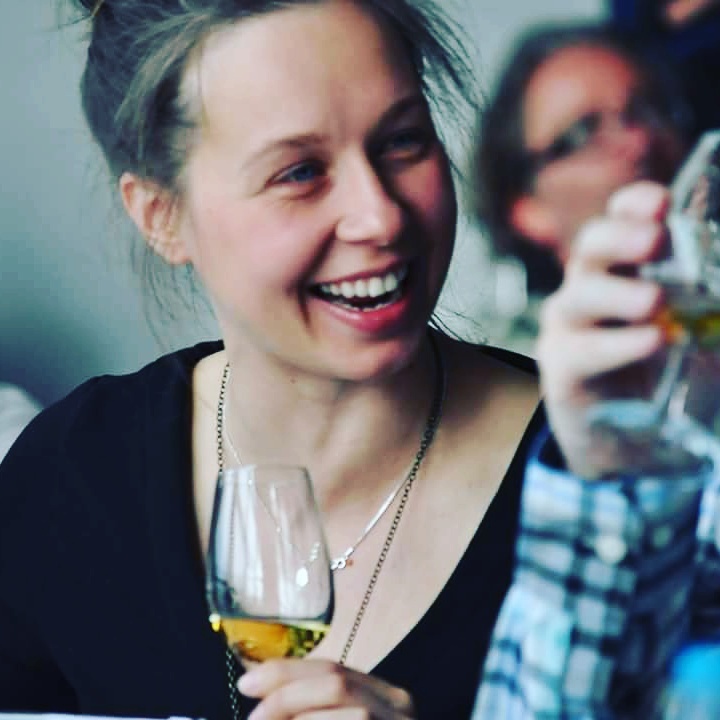 Our tastings are fun and informative, they are suitable for the newcomer to the wonderful world of single malt whisky and for the seasoned enthusiast. Our regional whisky tastings are an imbibing journey around the whisky producing regions of Scotland. Guests enjoy a whisky from the regions of Highlands, Speyside, Lowlands, Islands, Campbeltown and Islay. During this tasting we demonstrate the diversity in whisky profiles produced by many distilleries in Scotland. As part of the regional malt whisky tasting, guests will learn how single malt whisky makes the special journey from field to table. We often take guests on a virtual distillery tour so that we can offer an in-depth explanation about the whisky making process. We have lived on Islay and still work on this beautiful island. There are no less than 8 iconic malt whisky distilleries in production on Islay at the moment with a 9th, Ardnahoe Distillery being built right now and rumours of more in planning process. Islay distilleries produce an incredible array of whisky profiles from rich and sweet drams to smokey, medicinal, phenolic, big peaty monsters. There is a dram for everyone on Islay, the whisky isn’t all about the peat. Given our experience at the coal face of whisky production on Islay, we offer a real insight in to what it is like to live and work on the island and an in-depth look at each distillery and the whiskies made there. This tasting is a must for anyone who is thinking about visiting the magic Isle of Islay. Like all of our tastings it is fun and informative and suitable for the newcomer to single malt whisky and for the seasoned enthusiast. Our rare whisky tastings showcase whiskies that are hard to find. They may be drams from distilleries that no longer exist, they might be extremely rare distillery only bottlings or limited editions. Often drams in our rare whisky tastings are from single cask bottlings most of which are bottled at natural cask strength. If you are planning a dinner for your guests we can match each course with the perfect dram. Usually we will talk about the history of Scotch whisky and how whisky is made before dinner and then will introduce each whisky before each course. We’ll explain why we have paired each whisky to each course before guests enjoy their dram with the food. If you are thinking about having a whisky tasting in Sheffield, at your party, business meeting or corporate event, please call David on 07875 405 980 and he will answer all your questions, recommend a package and discuss costs with you. Get in touch with us today if you would like us to host a very special whisky tasting in Sheffield. Please click here to send an email and we will be back to you as soon as possible.